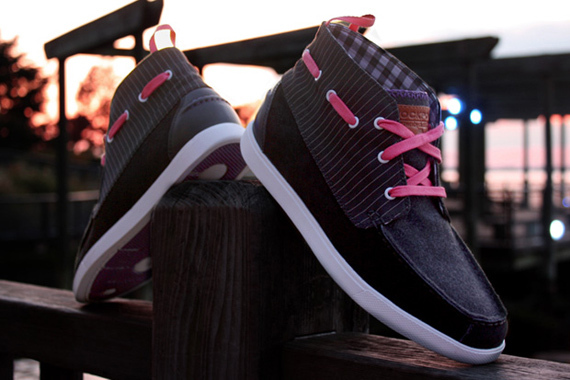 Home Other Sneakers UNDRCRWN x Rockport Delta Boot – D.O.C. 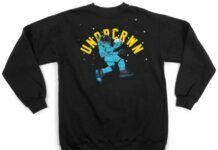 UNDRCRWN x Rockport Delta Boot – D.O.C. 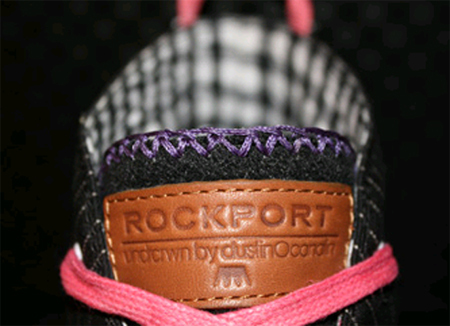 Rockport shoe company has teamed up with the likes of basketball lifestyle connoisseurs, UNDRCRWN, to make an interesting collaborative boot. 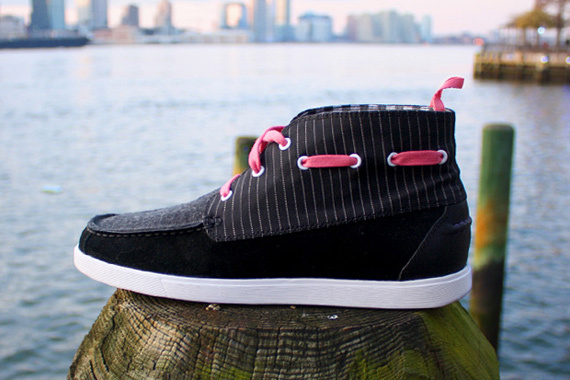 The UNDRCRWN x Rockport Delta Boot D.O.C. 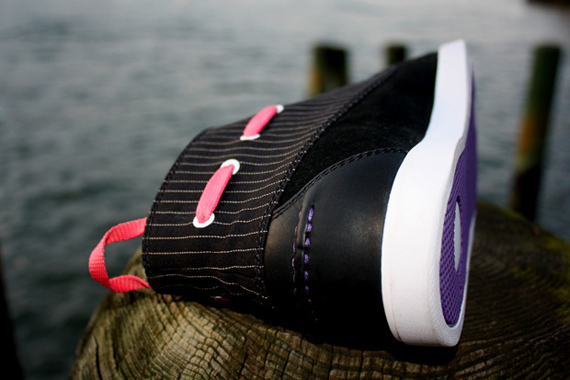 is a moccasin style boot that uses luxury materials such as Melton wool and suede on the black/pinstripe upper. 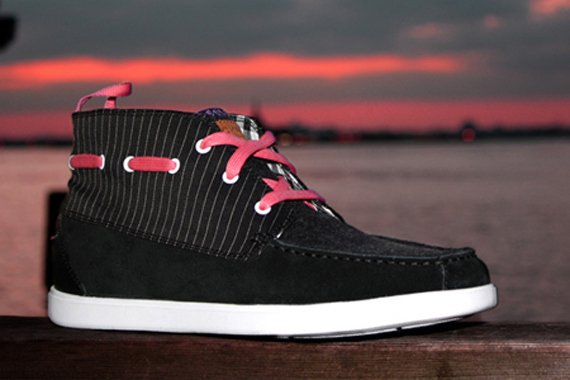 Bright pink waxed laces offset the dark upper to coincide with the “Miami sunset” theme fashion expert Kari Cruz had in mind. 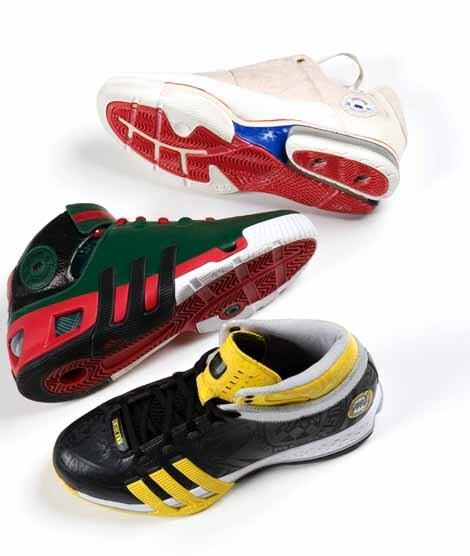 Of course, UNDRCRWN’s director Dustin Canalin had his hand at the shoe as well, hence the name of the shoe (Dustin O Canalin). These boots will make a Black Friday release on the UNDRCRWN site in a limited quantity of 100 pairs worldwide, so be sure to add this shoe to your list of Black Friday pickups. 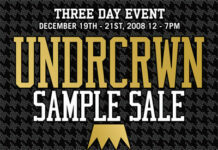 Good Deals All Around: UNDRCRWN Sample Sale! 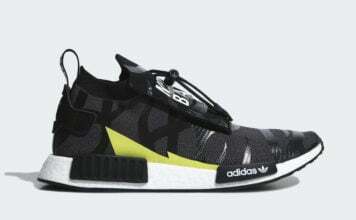 Undrcrwn Commands and Creates with adidas!